It's edition seven of a content feature I started this season called Eight from 80 Feet, which I cobble together every couple of weeks. Karri Ramo has been the NHL's best goaltender on the road this season. By that, I don't mean one of the best. I'm talking the best. That is, if you put stock in goals-against average or more importantly for me -- save percentage. As of this morning, Ramo leads the NHL in both categories. Ramo's success away from the Saddledome this year included back-to-back shutouts in November when he blanked San Jose and Arizona -- the first Flames goalie to post consecutive road shutouts since Mike Vernon in December 1992. That was part of a six-game winning streak overall for Ramo that included a shutout streak of 142:59, which came just over 21 minutes shy of Vernon's team record. It's been a topsy turvy season for the pending unrestricted free agent. After getting pulled on a start on December 16 after allowing four goals on 13 shots against the New York Rangers, a combination of his own injury and Jonas Hiller's hot play resulted in Ramo making just one start in the next two months and that was on January 7, a game in which he got injured halfway through the game in a collision with Raphael Diaz. But after Jonas Hiller got lit up for four third period goals in a blown third period lead in the finale of the most recent homestand, it was back to Ramo again to start this important seven-game road trip and what a trip he's having. In three games, he's fashioned a tidy 1.02 goals-against average and a .968 save percentage. The only number that doesn't look good is two losses out of three games and that's hardly his fault. Many will argue his mastery on the road is merely fluke and that might very well be the case. After all, this is the same guy that is ranked near the bottom of the NHL at home. Home Save Percentage - .891, ranked 41st out of 43 (only ahead of Minnesota's Darcy Kuemper and Arizona's Mike Smith). Now those home/road splits are extreme. Whether it's nothing but co-incidence (last year his SV% was .916 at home, .908 on the road) or your have your own theory -- perhaps the Finn's easy-going attitude caters to him playing well in the hostility of opposition arenas, the bottom line is he's giving the Flames all they can ask for in net at the moment. When the road trip resumes on Tuesday, it will surely be with Ramo back between the pipes once again. That is, if he's not traded. While once looking like a real possibility, the reality is the odds of him being dealt dropped significantly with the injury to Joni Ortio last weekend, who will miss up to eight weeks with a high ankle sprain. More than will Ramo get traded, maybe the more pertinent question to ask now is do the Flames re-sign him? At 28, Ramo is four years younger than Hiller. Hiller has one year left on his contract but that's not to say Calgary can't try and trade Hiller this summer. Credit to Ramo for changing the topic of the conversations being had about him. Was Friday night in Long Island the last time we see Curtis Glencross put on a Flames jersey? You'd think so. Between his age - 32, frustrations with how he's been used this season by the coach -- the same coach that earlier in the year signed an extension, and with the kind of money he's looking for in free agency, it seems like a certainty Glencross will not be re-signing with Calgary. The organization blew an opportunity last year to move Mike Cammalleri and lost an asset for nothing. It would be lousy management to mishandle your most tradable pending UFA again this season. Especially with the prices teams are getting right now. If you can get a second round pick, you absolutely have to do it and if you have to settle for a high third, same thing. 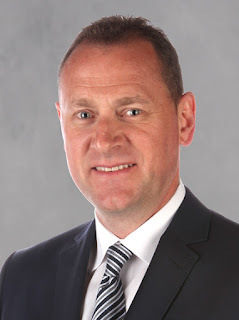 Maybe general manager Brad Treliving doesn't get what he's asking for with Glencross and he stays with the team the rest of the season and helps them in their chase for a playoff spot. But you get the sense the two sides have already moved on and a deal in the next 48 hours is inevitable. If so, does Glencross leave a void in the Flames line-up? Absolutely. Scored a nice goal the other night in New Jersey and even had his first fight in nearly three years. But if there is one place where the Flames have decent depth, it's at forward. When he missed nine games recently, Calgary went 6-3-0 during that time. So if this is it, you thank Glencross for his loyal years of service in a Flames uniform. He wore a letter, was a big part of the community, and you wish him well. With only six post-season games on his resume, you know he's starving for a legitimate shot at the Stanley Cup and he deserves that. The rigors of NHL travel should not be confused with the rigors of normal travel for you or I. Nor the rigors of riding the buses in the minor leagues. Being fast-tracked through airports and whisked onto chartered airplanes amounts to far less wear and tear and fatigue than the old days when teams used to fly commercial. Nonetheless, travel or no travel, the grind of being an NHL player is not easy, especially when you get into March. The bumps and bruises add up, the frequency of games picks up, the stakes in those games increase. The physical fatigue goes up, as does the mental fatigue. This brings us to this east coast road trip for Johnny Gaudreau. He's already in new territory when it comes to the amount of hockey he's played this year. Gaudreau has not admitted that he's getting tired but it's only natural that he would be. This is way more games than he's ever played in a single season and much more than he has been used to lately. If you go even further back, he topped out at 60 games in his one year in the USHL. Add in the fact that he's got such a slight frame at around 150 pounds, and that teams -- especially the California teams lately, have been far more physical against him, and adding in the pressure of the playoff race and his own mental fatigue of not contributing as much offensively as you know he wants to -- no goals in his last 14 games and just seven assists in that span, and it can wear a guy down. Is it just coincidence that Gaudreau has taken 10 penalty minutes in the last six games after no penalties in his first 55 games? Maybe. Then again, maybe not. Let's not forget that the all-star break was also not a break at all -- flying to across the country to Columbus and all the events and commitments (and filming of VISA commercials) that went with that weekend. He'll get accustomed to the NHL grind as he gets older for sure. Next year will be better, the year after even more so. But you can't just flick a switch. Knowing that he could be at over 90 games by the time the regular season ends, you have to think that if the Flames miss the playoffs, this might be a year Gaudreau politely says 'no thanks' should Team USA come calling again for the World Championships. Meanwhile, this three-day break for the Flames is coming at a good time and perhaps some home cooking will recharge Gaudreau for the final six weeks as Calgary's struggling offence really needs him. Frankly, I was baffled that Tyler Wotherspoon did not play Friday night against the Islanders with Mark Giordano not able to go. Instead, Corey Potter -- who had played six hockey games in the previous 76 days -- was inserted and played 7:47, the least of the Flames six defencemen. It's not like Bob Hartley has ever hesitated before in inserting a guy into the line-up. Heck, on Tuesday, Emile Poirier -- after one game-day skate, was injected straight into Calgary's line-up to play instead of Brandon Bollig. Wotherspoon could most definitely have done the same. He had even spent 10 days practicing with the team just a month ago. It seemed like an odd decision as make no mistake, the Flames best internal option to replace Giordano -- should he end up missing additional time -- is Wotherspoon, who is Calgary's top defence prospect. Raphael Diaz and Deryk Engelland have averaged less than half the ice time that Giordano had been playing this season. Ages 29 and 32 respectively, they are what they are at this point in their career and that is third pairing defencemen. You know what you have there and playing Engelland or Diaz 18-20 minutes is not going to turn out well. While Wotherspoon may end up showing that he is not ready yet to take on second pairing ice time and responsibility, you need to at least put him in that position and find out for yourself. Calgary has got huge contributions from rookies all season and who's to say injecting another young player in the line-up won't give this team the type of spark it needs over the final six weeks. At least Wotherspoon has upside where the other older options -- Diaz, Engelland and Potter, do not. I recently asked Adirondack Flames beat writer Diana Nearhos how Wotherspoon has played and she said he's been impressive -- "strong overall, defensively and contributing offensively." Drafted in the second round in 2011, Wotherspoon turned pro last season. So far, he's appeared in 94 games in the AHL and also got into 14 NHL games late last season when he looked fine in averaging 13:27 in ice time before having his season abruptly end due to a shoulder injury. The Flames are off on Saturday but will practice in Philadelphia on Sunday and Monday. Surely Wotherspoon will be in the line-up on Tuesday night against the Flyers if Girodano is not. In fact, we may be getting to the point where he should be in the Flames line-up anyway, even if the captain returns. The Flames have to be pleased with what they're seeing right now from their two goaltender prospects, who have yet to turn pro. Selecting the native of Halifax 34th overall in 2014, the first goaltender to come off the board, was a polarizing pick yet as I wrote here right afterwards, I understand why the Flames selected him when they did. Well, so far, so good. McDonald is putting together a nice season in the QMJHL, currently ranked third with a .906 save percentage. For comparison, Zach Fucale -- the much ballyhooed first goaltender taken in the 2013 NHL draft, 36th overall by Montreal, is also in the QMJHL and while a year older, he ranks 15th with a .886 save percentage. MacDonald, in all likelihood, will be back in junior again next season and whether he pans out or not in the NHL will not be known for many, many years. But it has been a positive beginning, at the very least. Calgary's third round pick in 2012 continues to put up very steady numbers in college. After his first two seasons in which he chalked up a save percentage both years of .931, the 6-foot-5 keeper is at .930 for this season. While it's not a progression statistically, his consistency from the start should be considered very encouraging. Providence College is one of the top teams in the U.S. and he will be going to the NCAA tournament in late March. It will be an opportunity to potentially shine in some very high-stakes games so Flames fans will want to keep an eye on that. When Ortio was helped off the ice last weekend, many asked if Gillies could be a possible replacement later in the season in Adirondack. The answer is probably not. While nothing is known for sure, I expect Gillies to sign with the Flames and turn pro after this season, or at least I expect Calgary to try and make that happen. This is Gillies third year, which would make it the same circumstances as it was for Gaudreau last year. He will have the option to return to school for a fourth year but with an expected hole at the AHL level for Calgary next year, I'm sure they're anxious to get them into their system and start working with him more closely. For Gillies, he should be anxious to take his game to the next level. If Providence makes the NCAA tournament, the soonest Gillies' season will be completed is March 27. If he does sign with Calgary shortly after, because that will happen after the NHL trade deadline, Gillies will not be permitted to be assigned to the minors by the Flames. 6. Is Monahan a Young Bergeron in the Making? With Devils goaltender Cory Schneider on the bench and New Jersey already on a power play, the Flames were staring at a 47-second 6-on-4 penalty kill on Wednesday in the final minute of a game they led by just one goal. Out for the face-off, to no surprise, went 20-year-old Sean Monahan. As he's done so often lately, it seems, he won that clutch face-off and that led to Brodie's empty net goal seconds later that sealed the victory. Face-off percentage is a statistic that can mean a little or a lot. While winning face-offs in neutral zones is nice, is it making that big of a difference in the grand scheme? For me, it ultimately comes down to how well can guys win draws in those pivotal moments in games -- late in a period, late in a game, in the offensive zone when you're down by a goal, in the defensive zone when you're up by a goal. Monahan's face-off percentage on the season is 50.4 percent. So he's essentially 50/50. But without looking it up, you get the sense he must be upwards of 60 percent recently when it comes to face-offs that really matter. In his rookie season, Monahan finished at 46.0 percent so this year has been a nice progression for him at the face-off dot. He treats it as a craft and I would fully expect that percentage to continue to climb over the next few years and for him to eventually be considered among the NHL's elite. Take Patrice Bergeron of the Boston Bruins for example. Considered one of the best in the NHL right now. I excluded 2007-08 as he only played 10 games due to injury but you can see his steady progression over the years. By his fifth NHL season, Bergeron was nearly at 55 percent and he has not dropped below that level since. I think Monahan could evolve in a similar way and over the years, that could very well equate to a couple extra wins each season. While Mark Giordano's condition is a potential game-changer for certain, expect the Flames to continue to hang in this playoff chase as they've done all year. Part of what Calgary has going for it is an easier remaining schedule than the other teams on the bubble. The Flames have 11 games left against teams not in a playoff spot right now. This does not include three games against other teams that are right there on the bubble with them. There are never any easy wins at this time of year -- Buffalo showed that the other night against the Canucks, but there are still easier opponents. While I wrote here earlier this week that I really don't see the Kings or Wild as bubble teams, I have decided to include both of them in the following graphic for now so this paints a complete picture. The Kings have the most road games remaining and have not played well away from Staples Center all year. The Jets have only four games left versus non-playoff teams. They will have to be at their best to successfully navigate a very difficult remaining schedule. The Canucks have the most home games left and are currently the best of the rest when it comes to projected points but with Ryan Miller injured and missing Alex Edler and Kevin Bieksa from the back-end, Vancouver is not a lock yet -- see their recent loss to the Sabres. Vancouver has seven games versus other bubble teams too so those four-pointers will loom as important. The Wild also have a tough schedule left, having to face 12 legit playoff teams in their final 21 games. They'll need Devan Dubnyk to continue his strong play. The Sharks have lost seven home games in a row. They need to right the ship quickly as they have a seven-game road trip looming and will end their year playing 10 of their final 13 on the road. If you follow me on Twitter (@DarrenWHaynes), watch for this graphic to be updated and Tweeted out daily -- either after the night's action is complete or early the next morning. Before drawing in against the Islanders, Potter had yet to play a game with the Flames while being a healthy scratch 18 times over the span of three call-ups. Last year the Flames lost 68 games to injury from their big-four on defence -- Brodie/Giordano and Wideman/Russell. Up until the Giordano injury, that group had only missed two games this season -- both by Russell. Brodie's 10th goal the other night gives the Flames three defencemen with 10 goals. Dennis Wideman has 12 and Giordano has 11. That's the first time three Calgary blue-liners have reached double digits in goals since Al MacInnis (11), Gary Suter (18) and Jamie Macoun (11) all did it in 1985-86. Monahan's game-winner against the Devils continues his late-game clutch scoring. So far in his career, he has eight third period go-ahead/tying goals, four overtime goals. Plus, he's notched five shootout-deciding goals. The Flames fourth line this road trip, comprised of rookies Poirer, Markus Granlund and Michael Ferland, has an average age of 21.6. Friday's loss to the Islanders -- now 21 games above .500 so not exactly a slouch, was the first time since January 9 that a Calgary loss wasn't to a team that didn't go at least two rounds in the 2014 Stanley Cup playoffs. Calgary has spent 103 days in a playoff spot this year. That compares to a total of 61 days over the previous four seasons combined. Fifty Days of 2015: Reflecting on the Calgary Flames Calendar Year so Far - According to the Chinese zodiac, 2015 is the year of the sheep. In that case, perhaps it's supposed to be pronounced Lance Baa-ma. We're 50 days into the calendar year and as you'll see, a case could be made that Lance Bouma has been the Calgary Flames best forward so far in 2015. Calgary has spent 100 days in a playoff spot this season. But today is not one of them. Instead, for only the 38th time and first time since January 17, the Flames woke up today outside of the playoff picture in the NHL's Western Conference. It was a harsh reality that jarred awake the residents of Flames Nation like having a glass of ice-cold water poured on your face and it has left fans feeling much consternation. Much consternation about nothing, that is. I'm not here to tell you to cancel your May vacation so you can be in your regular seats for Flames playoff hockey at the Scotiabank Saddledome, but I am here to add in some context to where the team is at right now and debunk a couple of myths that I overheard already today. As you'll see, the sky isn't nearly as cloudy as it may seem. Sure, Calgary is outside of a playoff spot but they're three points back of Winnipeg and hold two games in hand. The Flames also comfortably own the first tie-breaker with the Jets, which is regulation/OT wins. If the Flames pick up three points in those two make-up games -- the very definition of controlling one's own destiny, they move back ahead of Winnipeg and into a wild card spot. Even if Calgary only picks up only one point out of those two games in hand, the Flames still control their own destiny with the Jets as they play in Winnipeg on the final day of the season so if they're within two points headed into that game, they'd still have a chance. As for the Sharks -- tied in points with Calgary, the Flames also have two games in hand on them and own the tie-breaker so again, things are very much in Calgary's control. So over the last 48 hours, with the Jets only mustering one point out of Toronto on Saturday and the Sharks losing to Los Angeles in the outdoor game that night, Calgary's playoff chances have actually improved despite falling out a playoff spot yesterday with Minnesota's victory. People are getting so caught up in what the Wild and Kings are doing lately but really, it's a moot point. While I agree that you may need 100 points or more to stay ahead of the Kings and Wild, that's not who Calgary should be focused on right now and that's likely not where the playoff cut-line will be. For me, those two teams have solidified themselves as locks to make the post-season in the Western Conference and it would not surprise me nor should it concern Flames fans if they are beyond reach in no time. The Kings are back looking like the team that has won the Stanley Cup twice in the last four years and are the reigning champs. While some saw them as vulnerable as they languished in 10th and 11th in the West, I was not one of them. Here's a team that has played a lot of post-season hockey lately and what they're building towards is peaking in May, not in January. They've demonstrated before it's all about just getting in and for them, the urgency kicked in once they arrived briefly in 12th place in the conference a couple weeks ago. I would be shocked if the Kings finish anywhere other than second in the Pacific Division. Heck, first place could still be within reach if Anaheim falters. The Wild are not a new phenomenon. It may seem that way given their blistering 13-2-2 streak since Devan Dubnyk's arrival but they have been outplaying teams most of the season, they were just victimized by some leaky goaltending during the first half that turned wins into losses. Now they've repaired that hole and are no longer a bubble team in my opinion. Heck, they're breathing down the neck of the Chicago Blackhawks for third in the Central Division. If you're wondering if Dubnyk is a flash-in-the-pan, he's been doing this all season. It came without the same fanfare given the lousy team in front of him in Arizona but Dubynk was also very good with the Coyotes before the Wild pulled off the heist of the century by plucking him out of the desert for a third round draft pick. His cumulative numbers on the season are not far behind Pekka Rinne, Carey Price, and Marc-Andre Fleury. Welcome to the Vezina discussion, Devan. The way those clubs are rolling, it will not be the Kings and Wild, who will keep the Flames out of the post-season. Instead, Calgary will need to beat out two of Winnipeg, San Jose and I'd put Vancouver in that mix also. It won't take 100 points to get in but as I explained a couple weeks ago in this piece, I'm sticking with my guess of 95 points. The playoff spots up for grabs, as I see it, are third place in the Pacific and the second wild card spot. Perhaps it was the spectacular nature of the Flames third period collapse on Friday against the Anaheim Ducks that led to all the sudden angst but if you go back over the last six weeks -- starting January 10 with that 1-0 win in Vancouver that kicked off Joni Ortio's magical run, Calgary has been getting results. Navigating through one of the most difficult segments in their schedule, the Flames have gone 11-5-1. Further, each of those six setbacks over that stretch are what I'd categorize as forgivable losses. The six teams that have beat Calgary -- Anaheim twice, Minnesota twice, Pittsburgh and Los Angeles. Those four teams all made it into the second round of the playoffs, or further. These are legitimately good teams the Flames have lost to and are not the types of losses that come back to haunt you. People point to the Boston game and the Flames rally from a 3-0 deficit and calling it a lucky comeback to beat the Bruins. Sure, chalk that one up as luck. But again, it wouldn't have been a worrisome game to lose either. Boston also went two rounds in the playoffs last year also and while they have been scuffling a bit lately, they just went into Chicago on Sunday and spanked the Blackhawks so don't underestimate them either. As well, don't forget that Ducks loss was the first time all season Calgary has blown a third period lead so this is hardly a trend. Every team in the NHL has coughed up a third period lead at least once this year except for Chicago. Could this seven-game Eastern road trip be a killer for Calgary? Maybe. Might we look back on it and say it is the trip that put the nail in the coffin? Possibly. But I won't say 'probably' because of the resilience we've seen from this team all season. Remember when they lost seven straight in regulation and went winless in eight? Two months later they had fought and clawed their way back to 10 games above .500. Let's also not forget that the Flames have played well on those so-called killer road trips all season, continually finding ways to win hockey games in opposition buildings. This is the fourth five-games or longer road trip they've departed on and they've finished above .500 on each of the first three. As of today, I see the playoff race in the West as shaking down to four teams for two spots and those four teams are Calgary, Winnipeg, Vancouver (Ryan Miller out 4-6 weeks, as it was announced on Monday is a major blow) and San Jose. Nashville, St. Louis, Chicago and Minnesota are Central locks. Anaheim and Los Angeles are sure bets in the Pacific. I am also excluding Dallas and Colorado for now. It's not to say the Stars and Avs can't get themselves back into the mix with a hot-streak but there's a lot of teams to pass. I've got them on the outside looking in at the moment and perhaps we'll see over the next week leading to the NHL trade deadline what their management thinks the chances are. If you look at that, Calgary -- from an opponent perspective (number of non-playoff teams faced) and Vancouver -- from a home-road split perspective, have the easiest schedules left. The Jets, Canucks and Sharks also have a few games left among themselves, which could play a huge role. Calgary only has one game left against the other three bubble teams -- that April 11 matinee in Winnipeg. What are the odds of the Flames making the playoffs? I'd suggest the chances are between 40 and 50 percent as of today. So it's not probable, but it's very much possible and while this road trip -- if it turns out miserable, would sink them, something middling like a 3-4-0 trip or even 2-4-1 would still very much keep them in the mix. The bottom line is the excitement isn't going away anytime soon so get comfortable. With Calgary recalling Michael Ferland and Emile Poirier on Monday morning, a glance into the club's future, that only gives fans of the Flames further reason to hang in there, keep the faith and hope this Cinderella season continues. The coaching staff, the players, they always keep saying the same thing over and over. You can't get too high and you can't get too low. It's as cliché as it gets but as a fan, it also doubles as some sage advice. Still a long, long way to go. According to the Chinese zodiac, 2015 is the year of the sheep. In that case, perhaps it's supposed to be pronounced Lance Baa-ma. We're 50 days into the New Year and a case could be made that the peppy 24-year-old from Provost, Alberta, has been the Calgary Flames best player over these last seven weeks. Yes, this is really the same Lance Bouma, who scored just five goals in 78 games last year. This is the same Lance Bouma, who last summer signed a one-year contract for $775,000, which by NHL salary standards is the equivalent of working at Dairy Queen. Bouma has been doing a little bit of everything for the Flames and his little something Wednesday night was notching the clutch tying goal halfway through the third period -- and a beauty of a shot into the top corner too, as Calgary almost came back once again when trailing a game entering the third period, this time salvaging a point in a 3-2 overtime loss to Minnesota. Calgary's third round pick in the 2008 NHL Draft has led the team to an 11-7-1 record since January 1, which has propelled the Flames into sole possession of second place in the Pacific Division with just 24 games remaining. That's home ice advantage if the playoffs began today. Unbelievable. Fans are suddenly talking -- not just dreaming, about a very realistic possibility of returning to the Stanley Cup playoffs for the first time in six years, which is a shocking development considering back in September, most thought landing Connor McDavid was a far more likely possibility than the return of the Red Mile. What Has Happened to Glencross? For all the good that's going on right now with Bouma, the polar opposite is happening with Curtis Glencross. Way down at the very bottom of the team's scoring, sharing the same rung on the points ladder as the likes of Drew Shore (1 game), David Wolf (2 games) and Ladislav Smid (3 games) is Glencross, Calgary's most talked about pending unrestricted free agent. While Glencross has missed nine games during this span with an injury, the 32-year-old veteran still has no points in 10 games in 2015. It's not like he can blame it all on being snake-bitten either. He's produced only nine shots on goal, that's an average of less than one per game. Sure there are other variables at play, Bouma is playing with Mikael Backlund while Glencross has been skating lately with Josh Jooris as his centre, and opposition match-ups is another consideration. But just watching the two of them -- the old 'eye test', this is more than just a case of good situation versus bad situation. Is the trade talk that has been swirling around Glencross affecting his play? Is this just a string of bad luck? He did have a couple of nice deflections from in front last night that Devan Dubnyk made good saves on but still, he's not having nearly the same impact on games that he used to have. Maybe it's his many injuries the last few years catching up to him as he seems to have lost a step. We're just not watching the same guy that scored at close to a 30-goal/season clip from 2010-11 through 2012-13. 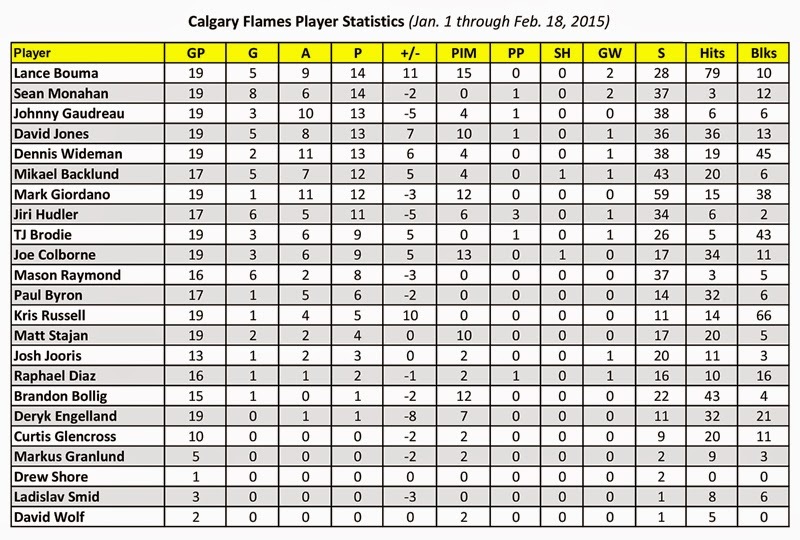 Here is a snapshot of the Flames player stats since January 1. It makes for some interesting reading. Kris Russell - He is plus-10 and has a whopping 66 blocked shots. He is really playing some excellent hockey these days. Sean Monahan - Three hits? Three? He's got the size and strength, if only he used it more. His game will climb another level once (if) he develops a mean streak. Mark Giordano - A team-leading 59 shots. The captain continues to positively impact the play nearly every time he steps on the ice. Suddenly in the Western Conference standings, the Flames find themselves just as close to the reeling Anaheim Ducks in front of them as they are to the Colorado Avalanche behind them. The separation is nine points in both instances. With the Ducks banged up and not getting good goaltending right now in the absence of Frederik Andersen, one of Anaheim's handful of injured players, Calgary could climb within seven points of the Pacific Division leaders with a regulation time victory on Friday night. Hard to believe. Catching them will be nearly impossible but there's something to be said about looking out the front windshield at the teams ahead of you at this time of year instead of staring at the rear-view mirror. It's edition six of a new content feature I cobble together every couple of weeks called Eight from 80 Feet. To the eye, it's seven teams within six points. Yet it's even closer than that. Put them on a level playing field and remove Vancouver from the top end and it gets that much more stifling at six teams within 3.8 points. On Thursday I did some analysis and wrote this piece explaining why I think it will take 95 points to make the playoffs in the Western Conference. Perhaps I should have added the words "at least". Yes, the Flames are currently in a playoff spot but barely -- just 0.9 points ahead of Minnesota. The Stars are the furthest out, sitting 11th in the West, but can they be two wins better than Calgary over the next 27 games? Absolutely. Heck, they could be two wins better than the Flames this weekend. The scoreboard watching the last four nights has been agonizing for anyone bleeding Flames allegiances. Going back to Tuesday, the six teams surrounding Calgary have picked up 18 of 21 possible points. The only blemishes were a Winnipeg loss to Nashville and the Sharks losing in OT to Washington. Take nothing away from what Calgary has accomplished this season already, the exciting brand of hockey they've played, but reset everyone to zero points, which is essentially the case, can the Flames beat out three of these teams over the next two months? That's going to be a big, big ask and as I wrote on Thursday will probably require (at least) a 15-10-2 finish. With the standings as close as they are, it's time to get a good grasp on what the NHL tie-breaker system is in the event that more than one team ends up with the same point total at year's end. Here is the tie-breaker criteria that is applied and how the Flames are looking at this point. This is that ROW column that you see in the standings now. It refers to wins in regulation or overtime. In a change introduced by the league a few years ago in an attempt to de-emphasize the value of shootout wins, it's only games decided in regulation or overtime that contribute to the win total that is used as the first tie-breaker. Calgary's Situation - Good. As things stand today, the Flames have the upper hand on everyone except for Vancouver. Here are the ROW totals as of now. If the point total is tied and so is the ROW total, you then look at the team's head-to-head record and which team has earned more points in that season series. However, there's a caveat. If the teams play an odd number of head-to-head games (e.g. three or five), the first result in the city that got the extra game is excluded. This balances out the home/road games and makes it more fair. Calgary's Situation - Here is the state of the season series with the other six teams. As noted would be the case, I've excluded that first (extra) home game in scenarios where the season series is an odd number of games. San Jose - Calgary won 6-3 in points. Winnipeg - Calgary leads 2-0 in points, final game in Winnipeg on Apr. 11 (season finale). Vancouver - Canucks lead 4-3 in points, final game is tonight. Minnesota - TBD. Two games that count will be Feb. 18 in Calgary, Mar. 27 in Minnesota. Dallas - TBD. Two games that count will be Mar. 25 in Calgary, Mar. 30 in Dallas. Los Angeles - Flames lead 4-3 in points, final game in Calgary on Apr. 9. Given how close the Flames and Canucks are in ROW, it could be the season series that decides it come year-end if the teams are tied. This adds a little bit of extra importance to tonight's game. Calgary needs a regulation win to take the season series or an OT/shootout win to leave it tied. The final criteria is easy, it's the difference between goals for and goals against. For the purpose of calculating this, a victory in a shootout counts as a goal for. Meanwhile, a loss in a shootout counts as a goal against. Calgary's Situation - The Flames (+17) are in good shape at the moment with the Canucks (+11) the nearest threat, followed by Winnipeg (+6). Yet when the Flames do lead after one period, their winning percentage is excellent as they rank third in the league. Coming from behind and winning games in the third period has been one of the storylines of the Flames season. Their nine wins when trailing after two periods leads the NHL. But it's not something they can count on continuing to be able to do over the final two months. Winnipeg, for example, has yet to come from behind to win a hockey game all season when trailing after two periods. Where the Flames can make up for a decline in the quantity of comeback victories over the final two months is by winning games more conventionally. By that, I mean score first and play from in front more often. When they do that, they've proven that they're very good at protecting a lead. In fact, when leading a game after two periods, Calgary is one of two teams with a perfect record. Be better early in games and then continue to lock them down as they've been able to do so far and making the post-season becomes much more realistic. 4. Will They Trade Curtis Glencross? The Curtis Glencross situation is an intriguing one. He's the Flames most valuable trade chip in terms of their pending unrestricted free agents yet if Calgary has designs on making the post-season, Glencross is the exact type of steady, veteran presence, who can score but also play a shut-down role, that Calgary could use in its line-up every night. Complicating the situation is Glencross has a no-trade clause so he holds all the cards. Does this mean Calgary won't be able trade him? No. At 32 years old and having only played six career playoff games, I'm certain Glencross -- given his competitive nature -- would be open to a move to a top contender. However, it does mean the Flames are probably looking at a very short list of teams he would agree to be dealt to and that makes it that much harder to get the best possible return -- see Jarome Iginla. There are seven games before the NHL's March 2 trade deadline. How this upcoming stretch goes could influence what Flames general manager Brad Treliving decides to do. They've played OK without Glencross going 6-3-0 when he missed nine games recently. That said, you're kidding yourself if you feel the club is just as good without him. If the organization is to be honest with itself about where Calgary sits in the playoff race this year, where they are at in its rebuild -- i.e. 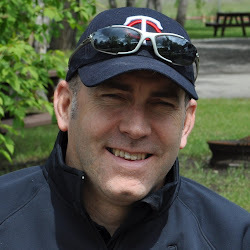 the early stages, trading Glencross should be the priority. Losing assets for nothing like what happened last year with Mike Cammalleri is bad management. That said, while they blew it with Cammalleri, keeping Glencross this season and then seeing him leave as a free agent in the summer would at least be more forgivable this year given Calgary has a legitimate shot at the playoffs. However, I just don't see the 50/50 possibility of making the post-season as enough of a reason to trump the importance at this stage of getting an asset in return for Glencross, which could become an important piece of the hockey team's future. That's the number of man-games the Flames top four defencemen have lost to injury this season. Both were Kris Russell on Nov. 18 and 20. Calgary relies a ton on it's top two defence pairings of Mark Giordano and TJ Brodie, Dennis Wideman and Russell. They average a combined 48-plus minutes per night, They have been the engine of this hockey club all season and Calgary would not be where it is today without them. Compare to a year ago when at this same 55-game mark of the season, that same group of four had lost 48 games to injury (Russell 14, Wideman 16, Giordano 18). Their health this season has been a big reason why Calgary is where they are in the standings compared to a year ago -- 10 more wins and in a playoff spot. In August, I wrote this piece -- 12 things that mostly needed to happen for the Flames to make the playoffs in 2014-15. No. 4 on the list was more of the same from Giordano and Brodie. Check. No. 7 on the list was stay healthy. Check. This needs to continue to be the case for this heavily-worked top four if Calgary wants to get back into the post-season for the first time in six years. However, can it? Given the amount of shot blocking that goes on every game from this group -- Calgary's team total of 1,007 blocked shots ranks second in the NHL behind Buffalo (1,034) and is nearly 100 more than third place Montreal (915), it's going to take a lot of good luck to get through the final two months unscathed. Mason Raymond was signed to a three-year contract last summer and brought to Calgary to produce offence. Period. With Cammalleri gone, that left only one player on the Flames roster that scored 20 goals last year and that was then Sean Monahan, this year entering his sophomore season. At the start of the year, goal scoring is exactly what Raymond provided. But after a fast start -- five goals in seven games for the Cochrane native, he got hurt. Then the offence dried up and so did his effectiveness. Soon he started taking a turn as a healthy scratch, four times watching the game from the press box. However, suddenly he's found his scoring touch again. Raymond has five goals in his last five games and is tied for third in the NHL in goals in February behind Marian Hossa (7) and Joe Pavelski (6). With 11 goals in 33 games, that's a pace of 27 goals over an 82-game season. Raymond's career high for goals in a season is 25. He is playing with much more assertiveness these days, carrying the puck with confidence and he's also shooting more, which is a good thing as he possesses a dangerous shot. Raymond is averaging nearly three shots/game in the last few weeks compared to an average of less than two prior to that. After scoring once in the span of three-and-a-half months due to injury and ineffective play, the club needs this rejuvenated version of Raymond to continue. He won't stay as scorching hot as he's been but if he can settle in somewhere around 'warm', that would help Calgary's chance a lot. Thirty-two goals. Just two penalties. That's what it adds up to for the Flames young stars Monahan and Johnny Gaudreau. Gaudreau's last penalty was in Belarus last May at the IIHF World Championships. This season, not one trip to the penalty box in 54 games. Monahan's last visit to the sin bin was back on Dec. 27. That, in a nutshell, has been the theme all season for Calgary, which is the NHL's least penalized team and has spent the least amount of time shorthanded. The Flames propensity to stay out of the box is a good thing. Despite being perfect on the penalty kill over the last seven games (15-for-15), Calgary still ranks just 23rd on the PK. How about this one. Only once in the last 18 games was Calgary shorthanded more often than they were on the power play. Just once. Here's another one. Calgary has spent 213 minutes and 54 seconds on the penalty kill this season. Winnipeg has been shorthanded the most at 398:23. Try and wrap your head around those figures. That's over 184 minutes difference or the equivalent of spending an additional three full games on the penalty kill for the Jets. Holy snap! Given the desire for truculence in these parts, I find these figures to be quite bizarre. Given the team's aggressive forecheck style of play, I find it quite remarkable also. 8. What's the Decision on Bennett? Earlier in the month in this piece, I outlined all the scenarios open to the Flames when it comes to Sam Bennett and also predicted what I think will happen. With the team back at home but only for a week before heading out East on a long seven-game road trip, one senses the decision on what's next for Bennett will be coming very, very soon. At practice last Sunday before the Flames departed to San Jose, Bennett was very involved. He still wore a yellow non-contact jersey but he participated in all the same drills as the other players and it sure looks like he's getting close to being ready. Update: For today's morning skate in advance of the Flames game against Vancouver, Bennett is no longer wearing a non-contact jersey. So things are, indeed, progressing. Afterwards, coach Bob Hartley told the media that Bennett had been cleared for contact and that he will continue to practice with Calgary for now with a decision on what's next to be made soon. I had predicted Adirondack's two games against Oklahoma City on Feb. 20 and 21 might be about the ideal timing for him to go down to the AHL on a conditioning stint. What are the Flames thinking? We are about to find out. While Calgary is fully healthy at forward right now, who knows if that will be the case still in two or three weeks -- injuries tend to come in waves. If they do decide to send him to the AHL briefly, that at least buys them some more time to see if there's a desire or need to get him at least a sample of NHL action this season. Meanwhile, I've received a couple questions since I wrote that Bennett piece and thought I'd share the answers for everyone's benefit. Q. Is Bennett being paid right now? A. Not by the Flames. Per the CBA, when a player is injured in the off-season, his salary while he's on the IR is what he made the previous year. That could be an NHL salary, it could be an AHL salary or for a player that saw time in both leagues the previous year, it would be a blended figure based on how much NHL time he saw. Bennett played in the OHL last year so he's not getting paid. However, since Calgary has chosen to have Bennett do his injury rehab in Calgary, the Flames do look after his accommodations and that sort of thing. Q. Will Bennett get paid when if he's sent on a conditioning loan to the AHL? A. Yes. To go to the AHL on a conditioning loan for up to two weeks as permitted, Bennett needs to be activated and part of the NHL roster. When that happens, he starts earning his NHL salary on a pro-rated basis for the time he's on the NHL roster. If he then is assigned to the OHL, he stops getting paid at that point. What's the number going to be? Will it be 91 like last year? Or 92 based on the current projections? Or 95 like it was three years ago? It's a question on everyone's mind these days. How many points will it take to make the playoffs in the NHL's Western Conference. I dug into that question this morning and here are my findings along with a fearless prediction. The Flames keep on winning. They've won nine of their last 12 games. Yet separation, it seems, can be hard to come by because everyone else in the West keeps on winning also. With that, the projected cut line for making the playoffs in the West continues to creep higher and higher. As of this morning, the second wild card team on a points-per-game basis is San Jose. It's Calgary if you were to go to NHL.com look at the standings, but factor in that the Flames are one point back of San Jose with two games in hand and that puts Calgary percentage points ahead of the Sharks. As for the four teams on the outside looking in as of right now, the best of the rest and closing hard thanks to a 8-1-2 run are the Minnesota Wild. Based on those projections, 92 points or a 14-13-1 finish would be enough to get Calgary into the playoffs. Except, I don't believe it. If the West had only nine teams, 88 percent of the teams would make the playoffs including the team in second-last. The point total for the team in 8th out of nine teams is going to end up being quite low. If the West had 40 teams, only 20 percent of the teams would make the playoffs. In this case, the point total of the team in 8th out of 40 teams is obviously going to be much higher. The difference between 14 and 15 teams is considerably less than between 9 and 40 teams but the principles of the theory still apply. So, look back at last year and sure enough, the 91 points that got the Stars into the Stanley Cup playoffs was lower compared to what it took in most of the previous years when there were 15 teams competing for those eight spots. However, while theories are nice and over an extended period, it will lead to a trend. This may not be the case this season and here are three reasons why. As part of the West, Edmonton and Arizona play an influential role and this season, it hasn't been a role you'd describe as a positive influence. Think quite the opposite as they have both been terrible against Western teams in particular. That combined 11-37-11 record is awful and it makes everyone else's record in the West that much better. With that, the point total required by that second wild card team is only going to increase compared to previous years. When west teams play west teams, one team is getting points at the expense of the other. The fact that sometimes three points are awarded instead of two is dumb, but that's a discussion for another day. It's in those West-East games where if one conference has a significant edge, it can stockpile a bunch of extra points and once again, that can elevate the point totals teams will need to make the playoffs in that conference. I looked at how the West and East have compared this year and in non-conference games as has been the trend in recent years, the West has been stronger once again this season. Head-to-head, the West has gotten 339 points (154-114-31 record) compared to 322 points (145-122-32 record) for the East. It's not a big difference but it's a difference that could translate to an extra o of one or two points for a contending team. However, dig deeper and remove Arizona and Edmonton results from the equation and the West-East divide grows even vaster -- 297 points compared to 275. This is an area where Calgary is losing ground. The Flames record of 7-12-2 against the East is the worst record of all 14 teams in the West and it's not even close. While most teams in the West are picking up a few extra points in non-conference games, Calgary is surrendering points. Interestingly, the Flames have a critical seven-game Eastern road trip coming up during the Brier. It's a long roadie where in one respect, there's wiggle room for losses as you're not giving away points to a Western team in the process. Yet at the same time, they're points Calgary needs to have. Bottom line is the Flames need to fare a lot better in the Eastern time zone than they have so far. When close teams play each other, there are going to be more games that are going to be decided in overtime. That's natural. Given how tightly bunched the teams in 5th through 12th are in the West -- eight teams within 11 points, there could be an even higher amount of three-point games this year as teams play not-to-lose in regulation instead of play to win. Given that, expect another little bump up from the normal point totals one might see. While the point total should be less in the West given the 14 teams vs 16 teams, I see this season as an exception to the norm. The biggest factor is how extremely charitable the two cellar dwellers have been -- Arizona and Edmonton, who are light years away from 12th place Colorado. Add in the West's edge over the East in non-Conference games and potentially a higher number of three-point games down the stretch and I predict this is a year in which you will need 95 points to make the playoffs in the Western Conference. So adjust your scopes Flames fans, the record for Calgary to get to the post-season given their 30-21-3 mark today will likely need to be a finish of 15-11-2 over the season's final 28 games. It's doable, but it's going to be a very stiff challenge with no wiggle room at all for a long losing streak. While finishing the season four games above .500 is not going to be easy, the one thing we know is it will also not be boring. Buckle up and enjoy the roller-coaster ride, which continues tonight in Los Angeles.